Compulsive behaviors can make it extremely difficult for people to live a normal life. Patients battling this psychological disorder have a hard time maintaining a job or engaging in social activities since their compulsions render them incapable of focusing on anything else but the cause of their obsession. People with compulsive behavior issues are also prone to substance addiction. The calming effect of certain drugs enables them to control their compulsion and manage their anxiety. But, because of the nature of these psychological problems, the recovery process can be quite challenging for addicts with a co-occurring mental disorder, particularly OCD. According to the National Institute of Mental Health, Obsessive-Compulsive Disorder (OCD) is a rather common, long-term disorder that makes a person have uncontrollable obsessions and behaviors. People with OCD repeat a particular action over and over, with little to no self-control. 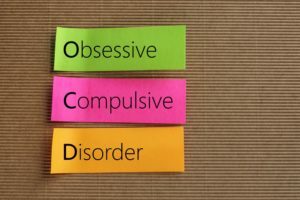 Patients with OCD tendencies develop either certain obsessions or compulsions. Why Do Some OCD Sufferers Self-Medicate? Drugs or alcohol can make people with OCD feel like they have regained control over their lives. Because of the effect these substances have on the brain, they can help suppress the obsessive thinking and behavior. However, self-medicating makes people with OCD more at risk of developing an addiction. While it’s true that drugs or alcohol can suppress some OCD symptoms, the effects are temporary and limited. If a person does not receive proper OCD treatment and only self-medicates, their body can begin to form a tolerance to the suppressing substance and long for more. If a person uses drugs to self-medicate for compulsive behaviors, then the effects of the substance can keep the symptoms under control. However, repeated, long-term use of any drug can lead to tolerance. As the body adapts to the foreign substance, its effects are not as noticeable. When that happens, individuals will increase the dosage and the consumption frequency to get the same effects. Over time, the substances will lose its ability to control the compulsive symptoms entirely. Considering the already-present compulsive behavior, that is a dangerous slippery slope, as it will be difficult for people to maintain proper discipline and take the medication responsibly. Moreover, this approach will also make it increasingly harder for a person to get through proper treatment, both for substance abuse and compulsive behavior. Treating patients with substance addiction and a co-occurring OCD issue is a very delicate matter, one not without its complications. During treatment, patients may have a difficult time focusing on the recovery process, as their symptoms usually escalate without the controlling effects of the drug. Moreover, some forms of therapy (such as group therapy) might even trigger a negative reaction and damage the course of treatment. It’s vital for people suffering from this dual diagnosis to receive a comprehensive course of treatment, custom designed to address their individual needs. One question we get is if Windward Way rehab center is qualified in providing therapy for addiction and OCD (Obsessive-Compulsive Disorder). We most certainly are! We understand that many of the men who enter our rehabilitation facility have been diagnosed with co-occurring disorders (also called dual diagnoses). Our clinical partnerships will be able to provide the addiction treatment for OCD patients in conjunction with our addiction treatment program. If you have recurring, obsessive thoughts that don’t seem to go away or perform the same tasks over and over, you may have a diagnosable mental illness along with your addiction to drugs or alcohol. Windward Way can provide effective OCD therapy through the many treatment modalities we frequently put use for men with OCD seeking our help. If you or someone you care about struggles with Obsessive-Compulsive Disorder as well as substance abuse, call us right now so we begin to create a personalized plan of action: 855-491-7694. Windward Way helps many men regain their lives. As a rehab center for clients with OCD, both our drug and alcohol rehab programs are well equipped with the experts to handle your case with both the skill and also the therapy you require. Pick up the phone—call us now and we’ll show you how we can personally assist you: 855-491-7694.